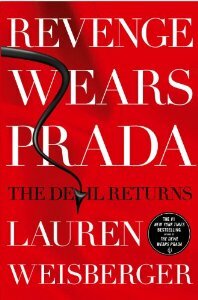 Lauren Weisberger is the New York Times bestselling author of The Devil Wears Prada, which was published in forty languages and made into a major motion picture starring Meryl Streep and Anne Hathaway. Weisberger’s three other novels, Everyone Worth Knowing, Last Night at Chateau Marmont, and Chasing Harry Winston were all New York Times bestsellers. A graduate of Cornell University, she lives in New York City with her husband and two children. Visit LaurenWeisberger.com. Wow! Revenge isn't even the word! Hehe. Sounds good, have to look into it. Did not know this was coming out, awesome! I didn't read the book but loved the movie. I'll look out for this one.